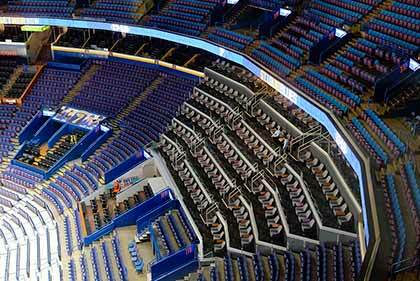 The new premium seating options at Enterprise Center provide unmatched first class experiences that you can’t afford to miss out on. 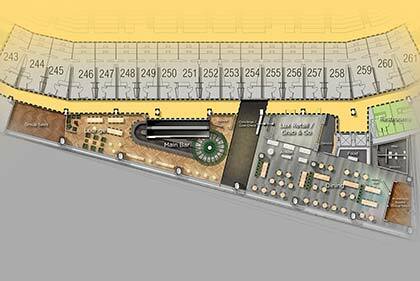 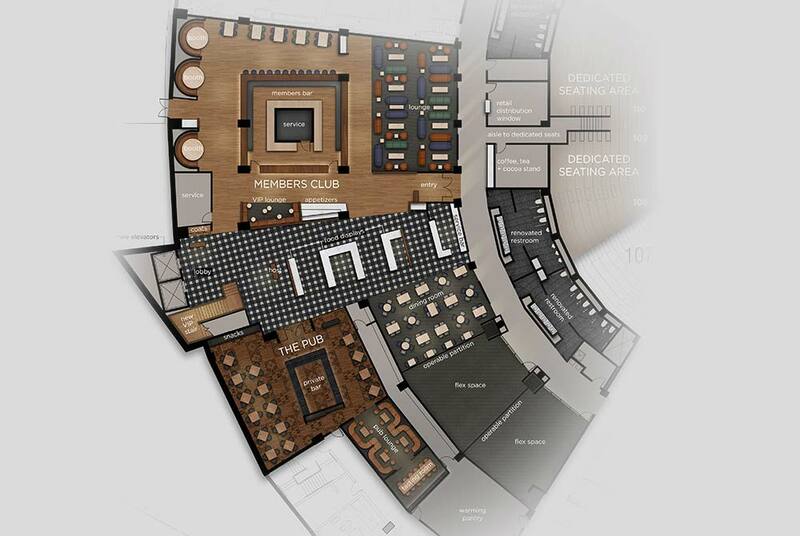 An exclusive "club within a club", members can expect heightened levels of service plus superb libations & edibles. 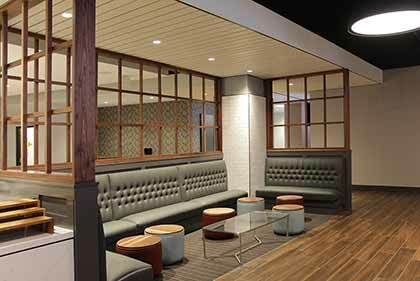 Personalized details and stronger attention to each guest sets this experience apart. 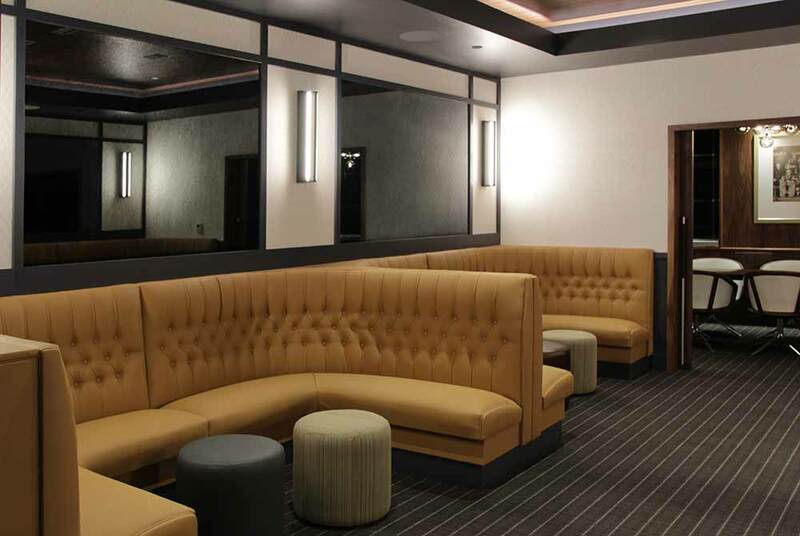 A private bar and lounge space exclusively for Glass Row A seat owners. 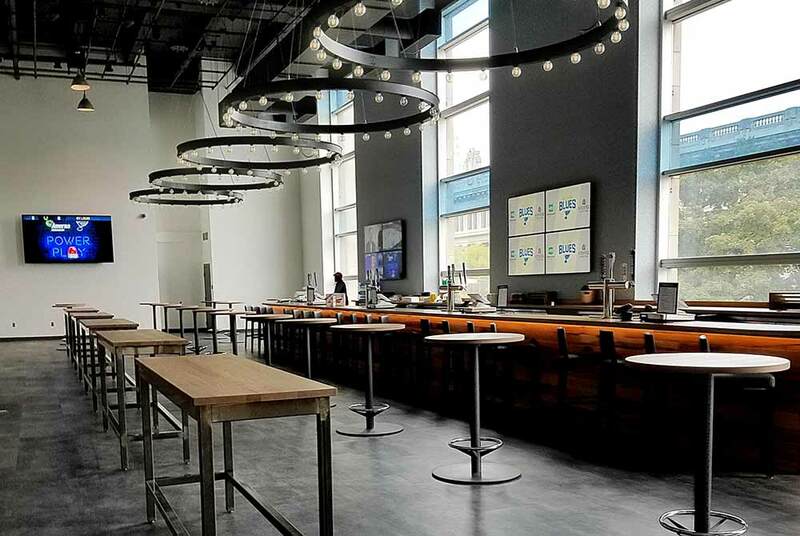 With capacity at 100, you can expect a short line at the bar and ample opportunity to sit and socialize. 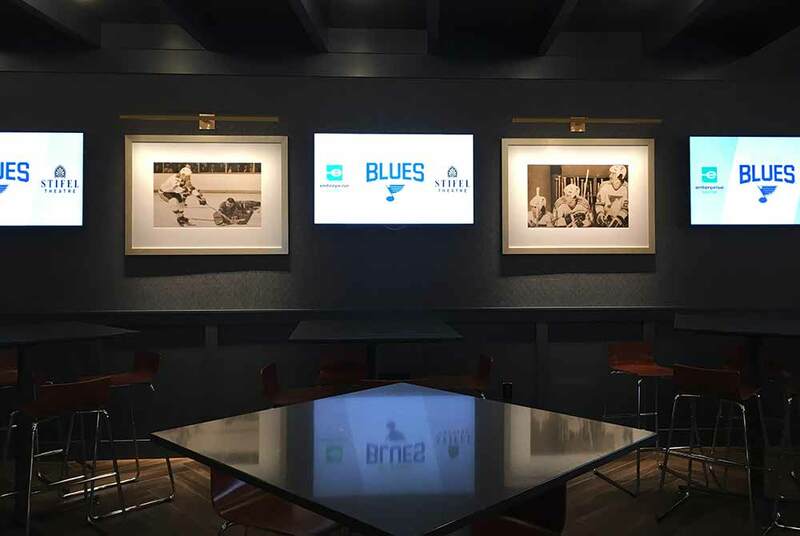 Please contact our sales team at 314.589.5284 if you are interested or email suitesales@stlblues.com for more information. 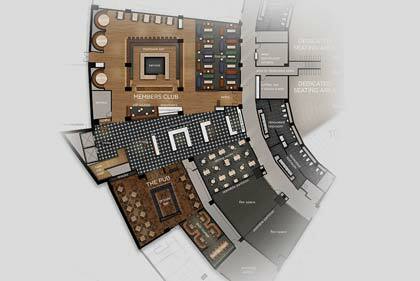 To join our hard waitlist CLICK HERE! The energy of the Glass Seats transfers to this event level gathering spot. 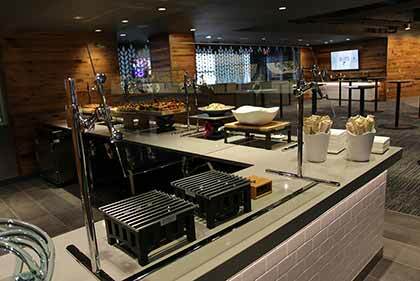 During breaks in the game retreat to a relaxed environment and enjoy food from chef-attended action stations.    The new Scott Credit Union Rinkside Club will accommodate 500 people and is nearly 4,000 square feet larger than the Blue Note Lounge, which currently services an average of 800 guests nightly. 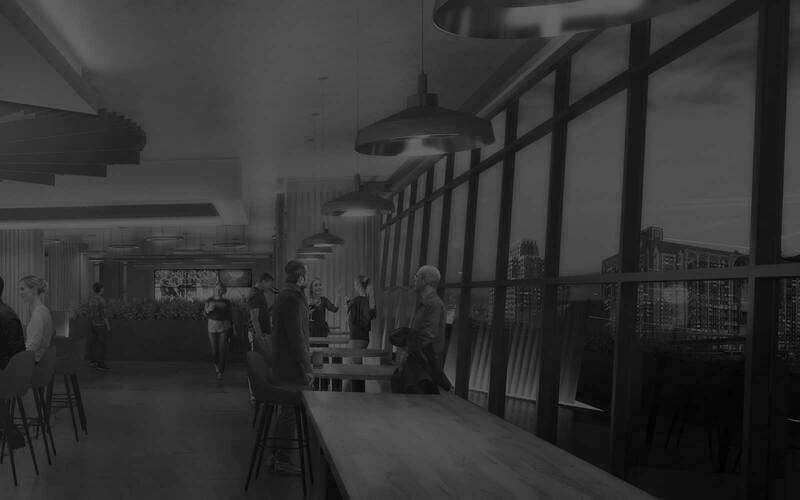 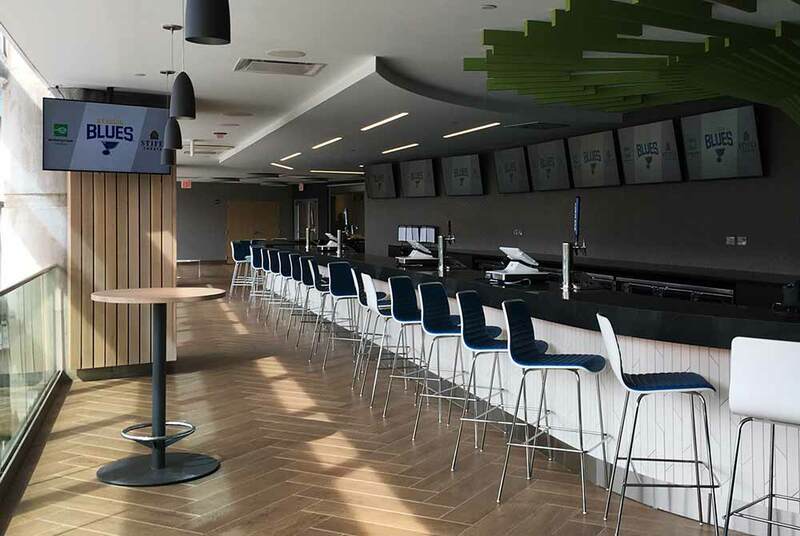 Welcome to the Jameson Club at Clark Avenue, a hub of activity designed for fan connection and socializing. 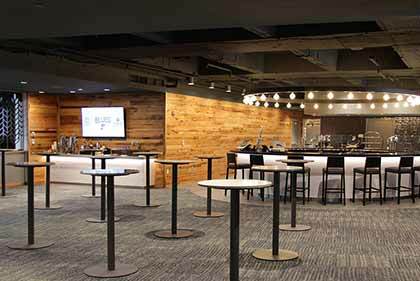 Conveniently located directly behind the Club Seats, this high energy, private space accommodates every fan need in one spot. A combination of Midwest hospitality and upscale sporting fare awaits you. 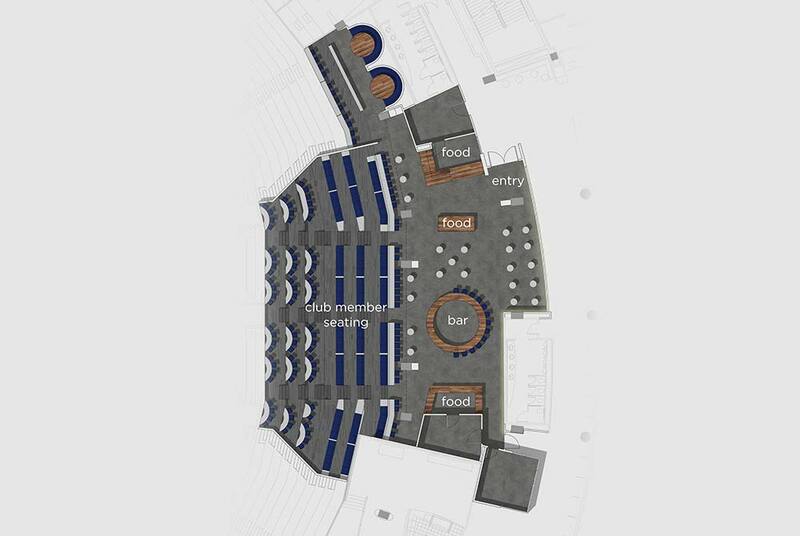 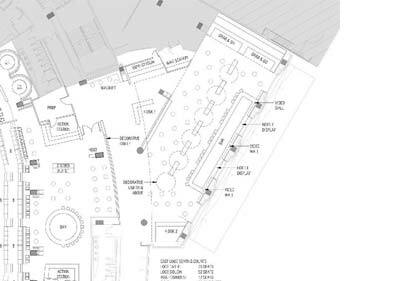 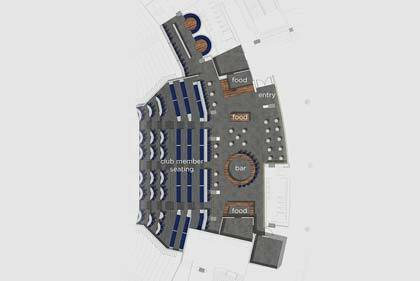 The new Jameson Club at Clark Avenue (located directly behind the Club Seats) will accommodate 750 people; half the number serviced by the previous Bud Light Zone. 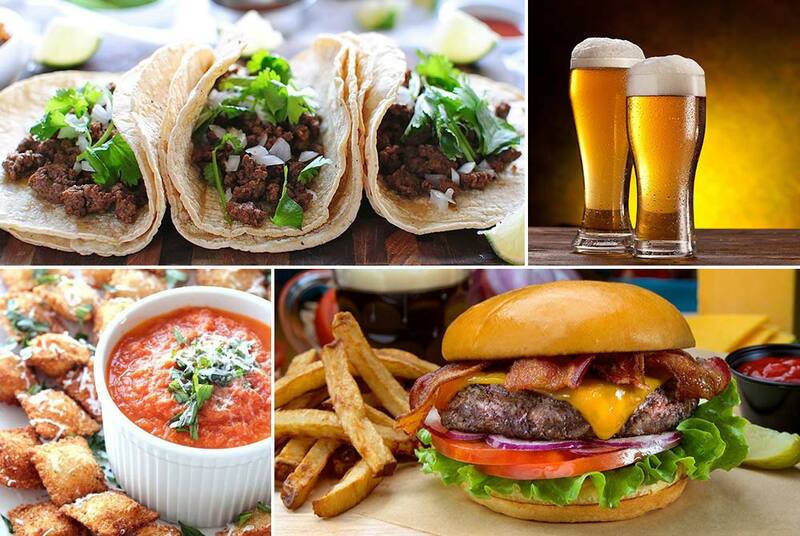 Mix, mingle, taste and try. 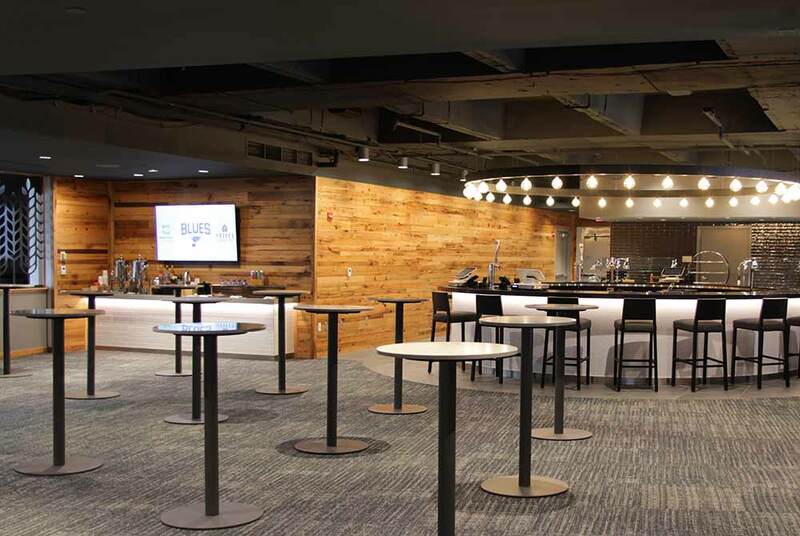 This large space is specifically tailored for socializing - providing seated and standing areas to gather between periods. With intense play on the ice in front of you and the hustle & bustle of a lively sports bar behind you, The Bommarito Automotive Group Lounge Boxes & Tables is one of high energy and excitement. 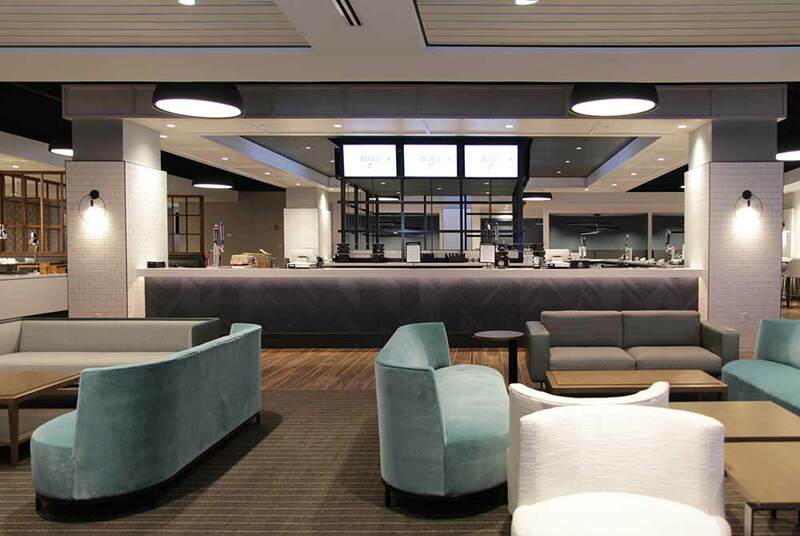 We've combined the liveliness of the sport with a comfortable seating space in which to socialize and enjoy the game. 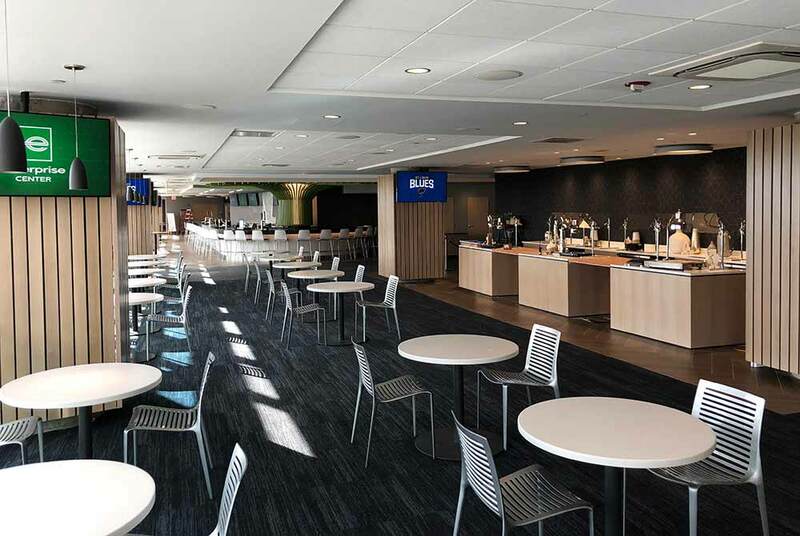 The social atmosphere of this space resembles that of your favorite sports bar, but the all-inclusive food and beverage offerings is what sets this premium space apart. Never miss a minute of the game with all-inclusive food like hot dogs, popcorn, and nachos as well as soft drinks and select Budweiser products served in your seats. Enjoy classic all-inclusive fan fare from the comfort of your seats.  All-inclusive offer concludes at the start of the 3rd period.  All-inclusive fan far in seat. Beer, wine and soft drinks. The Bull and Bear Theater Boxes at Enterprise Center will provide you access to unrivaled corporate entertainment, world-class sporting events and an unmatched experience for you and your guests. We guarantee to make a lasting impression on your valued clients, trusted employees, and family and friends. 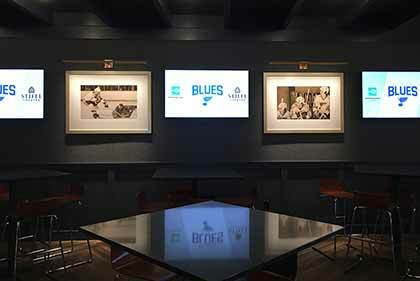 St. Louis Blues hockey and world-class performers move us, taking us to the edge of our seats to become part of their entertainment journey. Access to private Theater Box seat lounge. 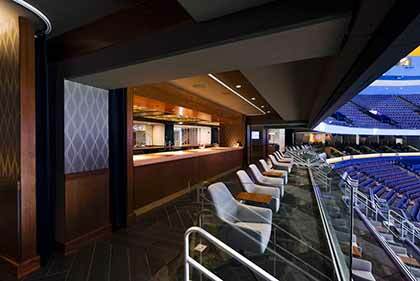 Suite Level, Behind Sections 121-124 (Current Bud Light Zone). 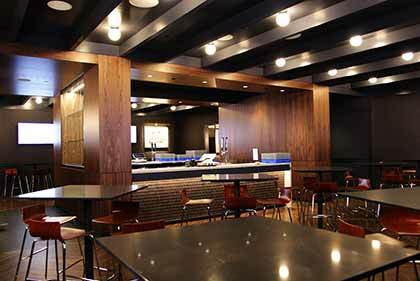 All-inclusive upscale food and beverage provided for all Blues hockey games, concerts and select family shows. The Bull and Bear Theater Boxes is alive with energy. 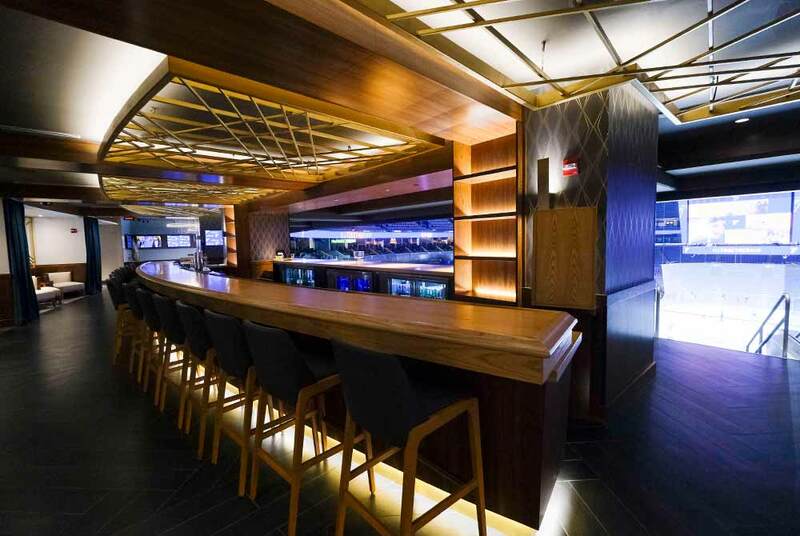 A casual space to hang out with other fellow sports lovers.